You can't expect your social intranet to thrive without some degree of intervention. It can only function at peak performance if it is properly managed. Intranet governance is one of the most important things to consider by those in managerial and leadership positions. So ... what exactly is Intranet Governance? Do you ever ask yourself "who is in charge?" of your company intranet software platform? Chances are, you have a hard time coming up with any concrete answers. When intranets are properly designed, they seem to run themselves. A great intranet will indeed be self-regulated to some extent, but management also needs to keep the community on track. This is referred to as "intranet governance". As we've determined, it can be difficult to ascertain who exactly runs your social intranet. Typically, there isn't just one person who can run the community -- HR plays a part, as does upper management. Actually, everyone who participates in the company intranet has a part in overall ownership. How this works in practice often comes down to the chosen governance model, and there are many options. When an intranet is decentralized, there is no clear owner, and everyone is given the opportunity to act as they wish. This can be an effective model to some extent for some organizations, but it leaves open the possibility that things might get out of hand. Instead, it's often more effective to use a collaborative model, based on the concept of shared ownership between community members. This model ensures that your social intranet governance is handled by those in management positions, those who participate in the community each day, and those who identify as intranet administrators. There are many things that can make a social intranet more effective, but in no way do politics fit in this category. This is most likely the main reason why less than half of the world's social intranets follow a clearly-defined governance model. When only one or two managers claim ownership, employees may feel as if they don't have a voice. As you might expect, this can be problematic for your business. Any good company wants feedback from their employees. This will increase employee engagement levels within your company and further grow your organization. You want to give your employees a voice. So ... keeping politics out of your intranet is all about fostering change rather than implementing a totalitarian management system. 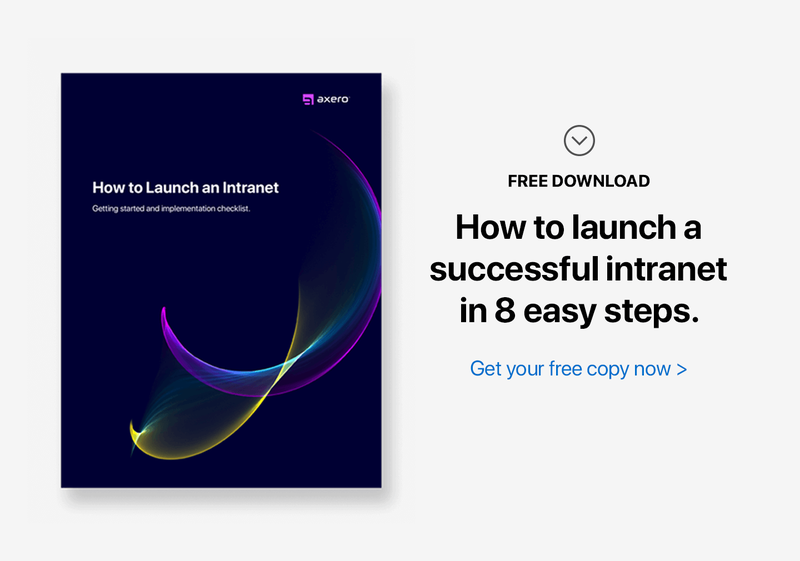 At the same time, you can't simply abandon the idea of intranet best practices and specific guidelines ... as this can also play into politics and cause further problems. A new approach to governance is essential and beneficial to your organization if you plan things properly. When initially setting up (or if you're trying to improve) your company's intranet governance, there are many points to consider. Understanding how to differentiate between poor governing principles and beneficial ones can take time, but once you start, you will recognize trends and patterns ... then plan accordingly. Just because your intranet doesn't have one clear owner doesn't mean community members shouldn't be identified by their specific roles and responsibilities. Every intranet needs an administrator, for example, as well as content creators, project managers, and other specialized professionals. Appointing intranet team roles and responsibilities and identifying experts from the very beginning is the best way to ensure that your intranet never fails. Content will surely push your social intranet forward, yet many people overlook its importance. Great content should be kept readily available so employees aren't struggling to find it. On the other hand, some content won't stand the test of time, and it can actually pollute the intranet as it loses relevancy. Keeping constant tabs on your intranet content strategy is a key aspect of intranet governance. There are lots of ways for people to contribute to your social community. Still, many people don't take time to assign permissions to specific employees ... permissions that allow them to post content, create spaces, and perform other tasks should they be given access. Assigning permissions only takes a few moments, and it helps ensure that certain people can make changes to the community. Your community can truly thrive when your members' needs are being met. People need to have the right tools to make noticeable changes, and providing individuals with what they need is a huge part of fostering a positive, encouraging virtual work environment. Make yourself available and give your employees what they need to do their jobs. This will improve intranet engagement and productivity to a large extent. If you want your intranet to operate without a centralized governance, you'll have to put in the work to make it work. The key here is to keep every community member on the same page in terms of what is acceptable within the social intranet, and what is not. While there are a variety of ways to achieve this goal, one of the most effective is to establish clear community guidelines in written form. Documentation that is readily available within the social intranet will come in handy, and it doesn't need to be extensive. A great administrator can make a huge difference in how well your social intranet functions. Your administrator needs to have a strong grasp on how to properly use the social intranet and keep things running smoothly. If you're able to identify a specific individual who truly understands the finer points of your social intranet, consider making them the administrator. It's important for your employees to have some fun now and then. And it's easy to assume that the intranet should be devoted specifically to work-related processes ... but ... this can cause employee engagement levels to suffer. People may feel as if they're being worked too hard. So ... make your intranet fun by creating spaces that specifically highlight hobbies and interests of your staff. Or, you might want to develop an intranet contest to boost employee engagement in your organization. Once you get your intranet "figured out", it can be difficult having new employees take control and "run the show". However, you won't have to worry about things falling apart if you train them properly from the very beginning. Intranet training can be a fairly quick and painless process ... and it's surely worth everybody's time and effort. It's amazing how effective a small amount of feedback can be to help an intranet grow and prosper. When people are unhappy, they're not always honest about their feelings. The social community provides an excellent platform for people to explain their concerns, and they can even submit feedback through an online comment box or with surveys. Sourcing community feedback will help you identify issues that are occurring within your intranet, making governance far easier and less stressful. Intranet governance can be somewhat of a full-time job, but if you take the right approach, and follow these intranet best practices, everything will fall into play. No politics involved. Focus on doing a great job, and your community will thank you for it.